Growing up my mother and I lived with my grandmother. We always referred to ourselves as the 3 Musketeers. My grandmother passed away when I was in high school and I've missed her since. I wanted her to be able to be part of my wedding day. 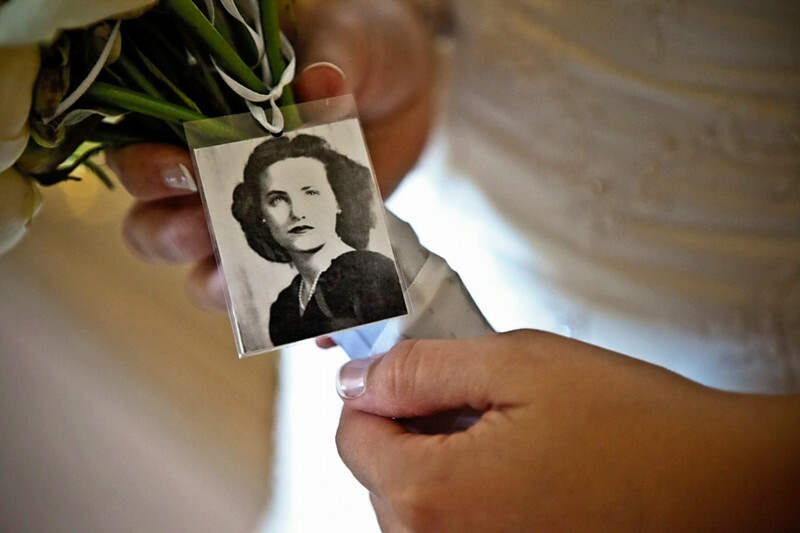 I attached a photo of her to my bouquet so she could be with me all day. I took a photo to photo shop and had them re-size it, re-print it and laminate it. I'm so glad I did!